March marches to it’s end, and Easter is looming near. Are you working hard for an Easter concert this year, or are you in the middle of exams? Easter is a great time to catch some of the great choral works, so why not have a look and see what’s on this weekend? Process vs. product: are you along for the singing ride or just the final performance? (Chris Rowbury) – Some of us are interested in the outcome, others the experience. Chris discusses both approaches and gives some thoughts on how to enjoy both parts of performing. Not an Optimist? How to Make Pessimism Work for You. (Bulletproof Musician) – Pessimists do some things better. Find out what they are and how to harness them to become a better performer. How to Compose a Madrigal [Challenging] (MyMusicTheory) – Ever wanted to sound like a Renaissance troubador? Now you can! The Number-One Motivator of Music Practice (The Musician’s Way) – No prizes for guessing the answer, but it’s good to be reminded of what it’s all about! Using MTH creatively – Part IV – Emergency info + more! 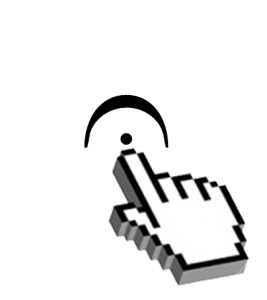 (Music Teacher’s Helper) – Here are some useful tips for keeping emergency contacts in Music Teacher’s Helper. “Themes” Add Focus to Your Teaching (Music Teacher’s Helper) – Some ways to bring new creativity to your teaching. This entry was posted in Friday Favourites, Regular Columns and tagged friday favourites on 28th March 2014 by .